We are offering a very modernly designed, two bedroom apartment for rent. This duplex is located on the ground floor in a complex of rental apartments, and has a glassed-in terrace and a garden. 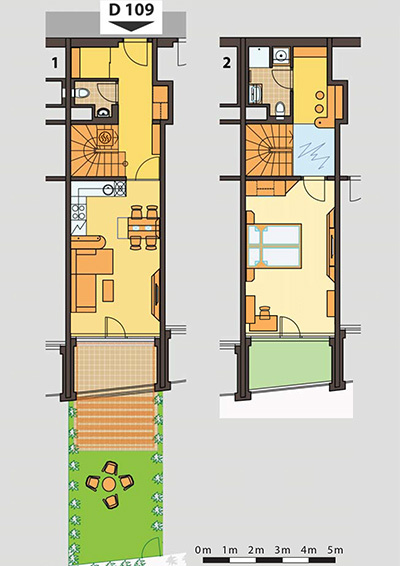 The ground floor of the apartment has an entrance hall with built-in wardrobes as well as a practical storage room that gives you plenty of storage space, and a separate toilet. Further on, the living room is connected to the kitchen. Past that you will find a folding sofa, which is particularly useful when resting, but also serves as a bed, for your guests. The kitchen is equipped with energy-saving appliances including a dishwasher and microwave. The first floor of the apartment contains a spacious bedroom with a double bed equipped with hypoallergenic mattress, built-in wardrobes, chest of drawers and a desk. There is also a balcony with a picturesque view. Furthermore, the first floor has a spacious bathroom with a shower stall and a hall with a bar. The apartment has a separate washer and a dryer, satellite TV, both in the living room and the bedroom. WI-FI connection to the internet is automatic. 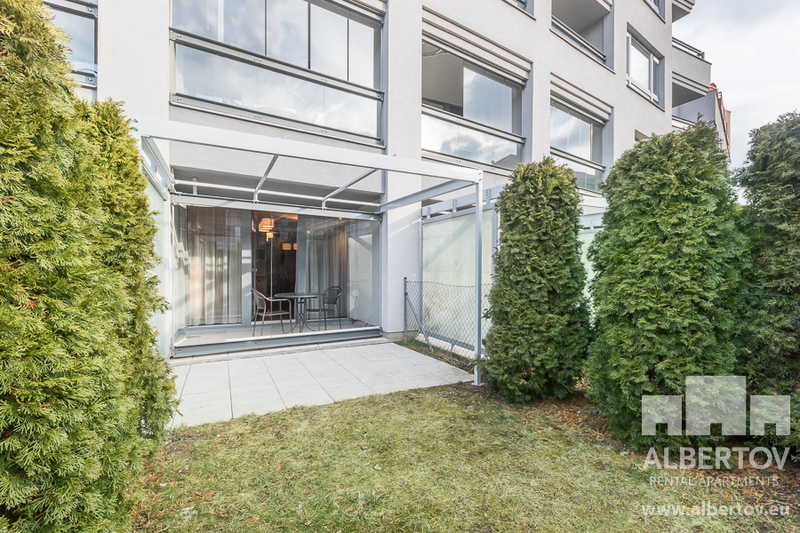 This apartment, for rent, is located in Prague 2, just below Vyšehrad, in a new complex of modern apartments, Albertov Rental Apartments.